Sourcing for new employees and keeping the current ones will always be a major challenge for HR peeps. The pressure is on HR when highly valued employees resign and/or when vacant posts remain unfilled. Likewise, programs that’ll keep employee engagement above average and attract high valued applicants is expected from HR as business partner. This is where employer branding and selecting right employees to be brand ambassadors play a big role. In this premise, let’s use this company as an example for using “one marketing campaign” to communicate the corporate brand to both the public and its employees. Megaworld Corporation celebrated its silver anniversary and held an event to showcase how the corporate brand benefited both consumers (public) and employees in their personal and professional goals. To effectively advertise this, they released a coffee table book narrating how the vision of “township” by Dr. Andrew Tan, CEO and Chairman, changed the property development landscape locally, and how it benefited 25 individuals to also achieve their goals. They also held an event to honor the 25 individuals for their achievement. and the remaining two were considered pillars of the organization. Click the tab below to know how each employee thought the company helped them in achieving their professional goals. Dreamt of becoming an IT professional but because of financial constraint, his dream almost gone to waste. As last recourse, he applied for the scholarship grant and subsequently accepted. After graduation, as token of gratitude, he applied for work and eventually accepted on 2010. Since then, he received two promotions. 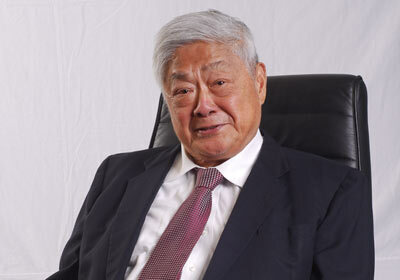 He once wrote in an essay, while in sophomore high school, that he sees himself working for Megaworld in 10 years time. After graduating in high school, he applied and was accepted to be one of the scholars enabling him to pursue and finish engineering. After making it to the top 10 of the licensure exam, he was offered a job on 2012. Her passion is to create art from nothing thru architecture, and she stayed with Megaworld for 19 years because the company shares the same passion. This fusion of resources and creativity resulted to milestones not only for the company, but also for the property development and management as they led the industry in the township revolution. She joined the company barely two years after its incorporation, as accounting assistant. Despite the smallness of the company then, she remained dedicated and loyal, trusting that the company will help her grow professionally. Because of this, she was mentored and developed by her superior for a future leadership role. She presently heads one of the most sensitive department of Megaworld Corporation. I hope I could write a follow-up article to discuss the direct effect of this campaign to its Human Resource Division, let’s wait if our request for interview will be granted. After reading their brief profile, do you find the company attractive? Have you tried a similar strategy in the past? What was the result? Do you have another HR marketing strategy in mind? Let us know by commenting below.